After Morro Bay we continued up the Pacific Coast Highway. The further we got, the more I fell in love. Is it okay to admit that I wasn’t impressed with the coast until this point? Because I wasn’t. Maybe we just weren’t hitting the right spots, or maybe it just differed so much from my expectations that I wasn’t into it. 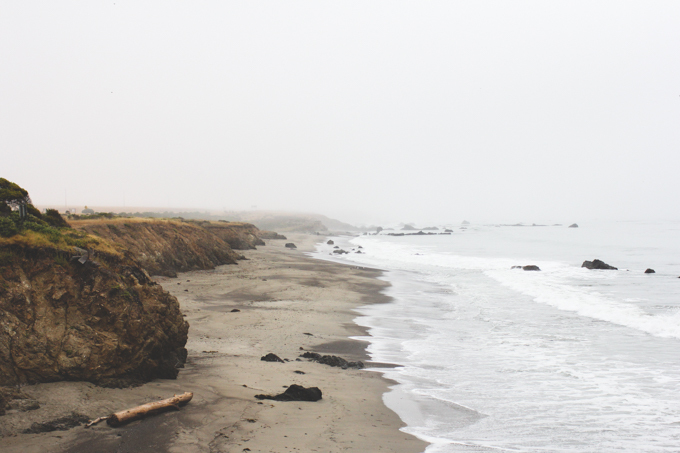 This stop though, at William Randolph Hearst Memorial Beach, won my heart. 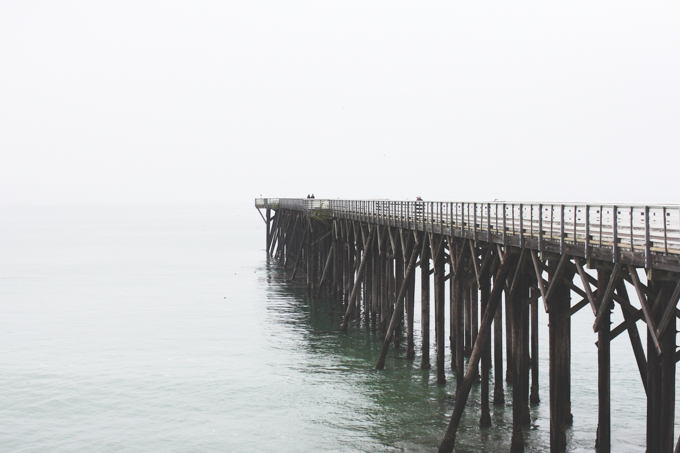 The temperature was cool, it was foggy out, and the water was the most beautiful color. I could have stayed here for days. 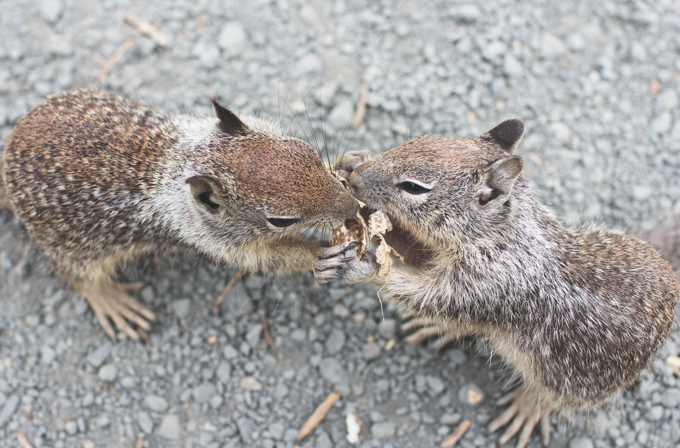 The elephant seals were really awesome but the squirrels at this stop stole my heart. I noticed them as soon as we got out of the car. I was excited to get a nice close shot of one of them with my 100mm lens. Then all of a sudden one of these little cuties runs right up to me. There were signs not to feed the wildlife but I figured picking something off the ground that someone else had already tried giving them as a way to lure them in was a nice little loophole I could use and not feel guilty. As I’m squatting there, trying to photograph and love on squirrels, an older couple comes up to me inquiring where the elephant seals were. In the middle of their sentence a squirrel just jumps into my lap. I immediately started looking at the squirrel, looking at them, looking at the squirrel, looking at them – trying to get these people to notice. They either noticed and didn’t think it was interesting or they somehow did not see this incredible thing happen. As soon as they walked away I managed to get Jeff’s attention and he snapped a really cute shot of this squirrel sitting on my lap. I got one too, you can see it here! As soon as the squirrel hopped down I burst into tears. Yes, literally. I’m an emotional person, whatever. It made my day. Shoot, it made my month. I’m still over the moon. My sister-in-law was asking me about the trip and what my favorite part was. Without even thinking I blurted out “SQUIRRELS!” Haha. 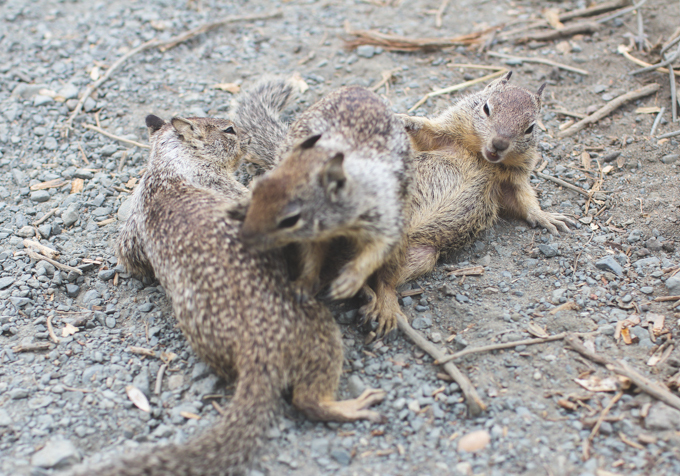 California, I love your squirrels. Even if I didn’t fall stupid in love with the state I would come back just for the squirrels. 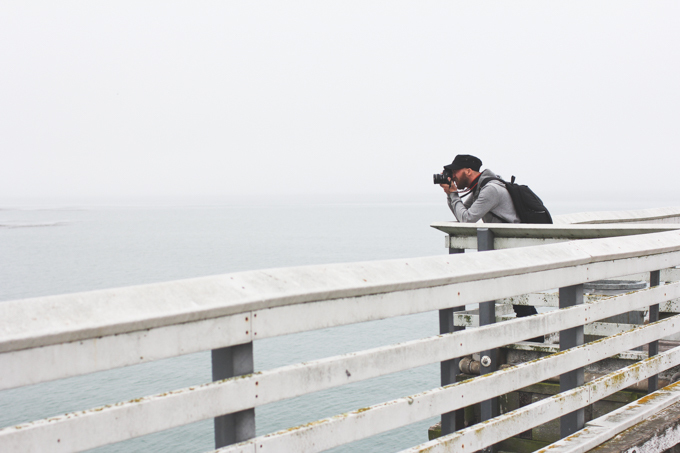 We made a stop just down the road from the elephant seal rookery to shoot the fog on the road. I feel like the above photo of our rental car might be a little out of place in the post of cute animals, and the ocean but you gotta admit, it’s a pretty sweet shot. I’m not sure why but I was so fond of that little car. 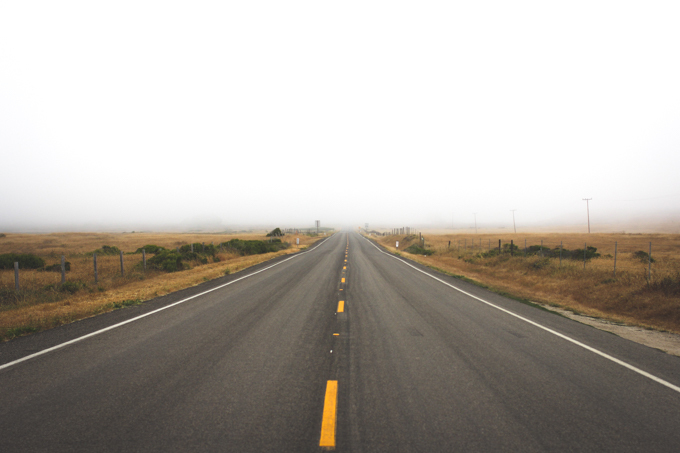 You can find more posts from our road trip under the “travel” tag. This post brings me wonderful memories of my 2 weeks road trip thru highway 1 🙂 California is so special, if I had to move to USA then had to be California. Oh RedWoods I love you soooo much! Have you been in any RedWood or Sequoias National Park? No, we didn't get to go to Sequoia NP. Someday though! 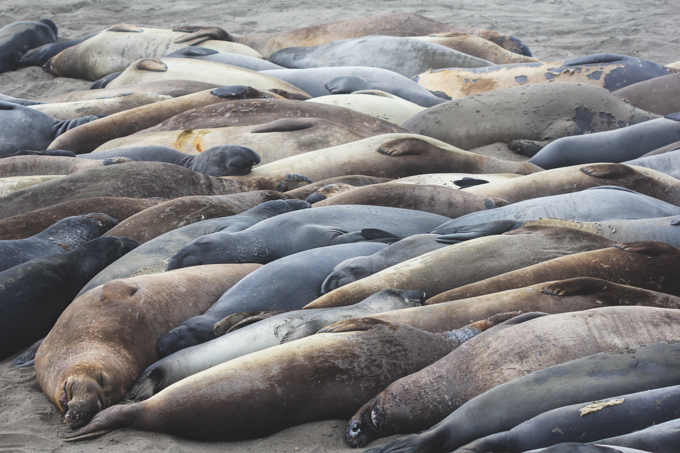 Those seals look so relaxed! And those squirrels are too cute! Beautiful photos!! I'm absolutely loving the pictures from your road trip. Oooh! These pictures are wonderful. Your shots peering over edges always make me dizzy, haha! Haha! Are you afraid of heights? Yes, terrified!! I used to have a reoccurring dream of me falling off a cliff. I don't mind being high up but I can't step close to edges! I love your animal pictures! Far too cute! I just love you and your soft heart for animals! I could hear myself saying the very same thing about the squirrels. You know, there are just those kind of people that wouldn't ever be able to feel the joy that you did with the friendly little squirrel jumping in your lap. Such a shame huh? 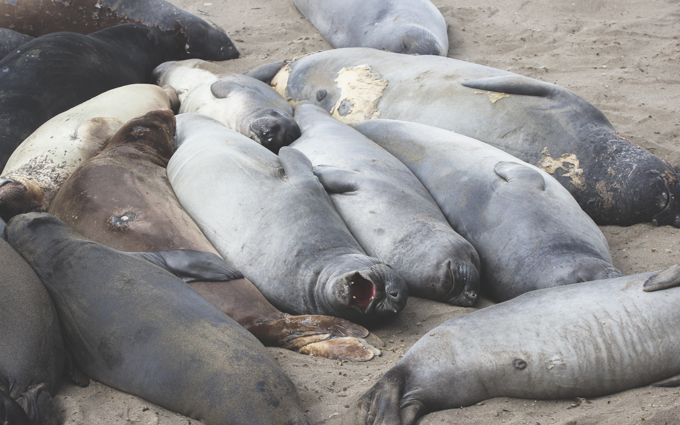 The elephant seals are so cute huddled together…I am thinking to keep warm? I am following your trip with great envy. 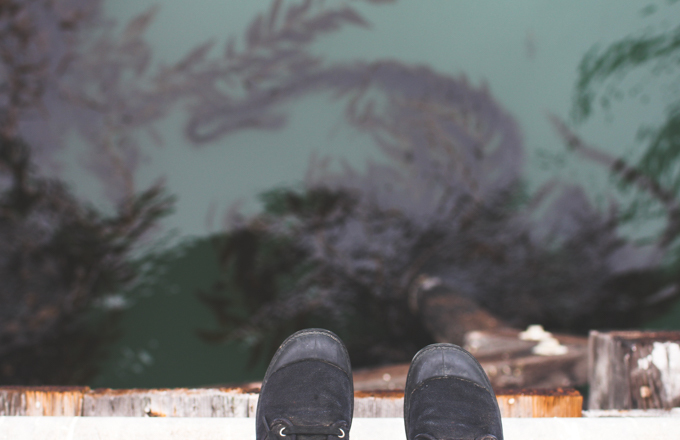 Did you take any pictures of "Tide Pools"? If so PLEASE share. That is the reason I want to go there to witness it for myself. Hehe, thank you so much! I can't imagine not just being tickled pink by a squirrel in my lap. I'm so disappointed the people talking to me didn't seem to care. IT WAS SO COOL. Yes! I did. I have one more post of the coast, and then it's tide pools! The final shot of the car looks like it could be taken out of a car commercial! 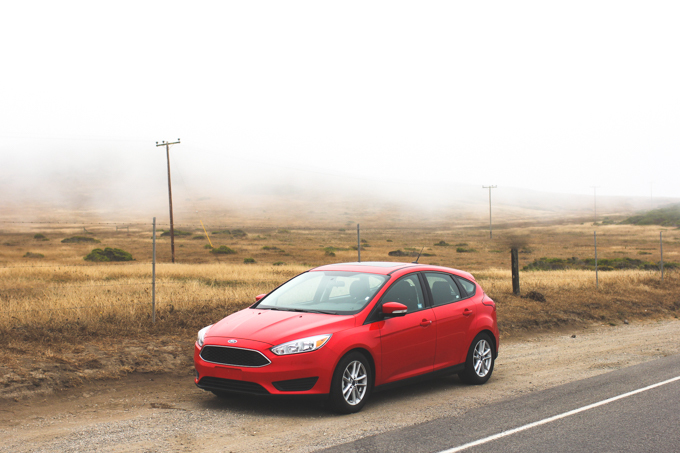 Love the pics from your road trip – it looks like so much fun. Hah! I kind of thought so too! Hey, I know this has nothing to do with your post whatsoever, but I thought you might want to check out this video if you haven't. It's just from this youtube channel of this guy who does the 5 top of spooky things and myths, and he has this one episode about big foot that reminds me of the Maiden Voyage shop that you've posted about before. Just thought it was fun and wanted to share it with you! Hahaha oh my goodness – you are too funny with your squirrel love! Like the pup from Pixar's Up. 😀 Squirrels are actually on my want to shoot list – not the gray squirrels that live in my yard but their larger, fox squirrel cousins. I saw one up close for the first time a couple of weeks ago and I'm still kicking myself for being too slow with my camera. Haha. C'mon! 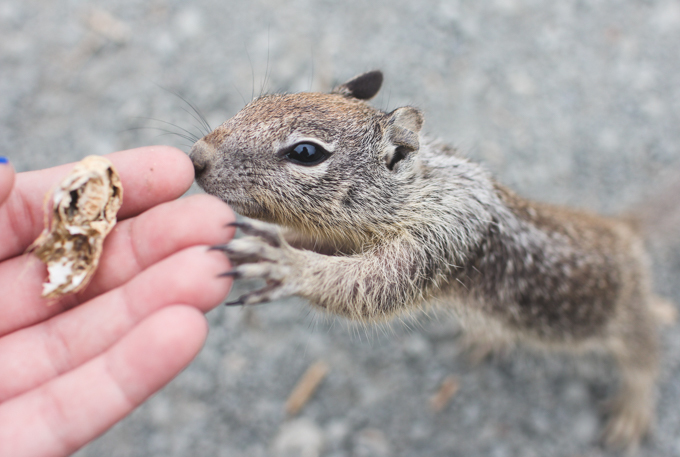 Squirrels are just SO darn cute! I think I'd fall head over heels for any animal that was that friendly though. Those squirrels are so cute! 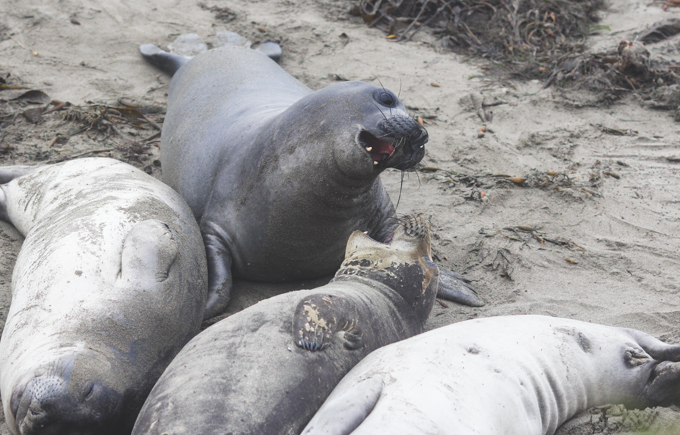 We have really social ones at Lover's Point in Pacific Grove, so many of them are fat little cuties because tourists love feeding them (but with such cute faces, how can one resist?!). Fantastic photos, thank you for sharing! 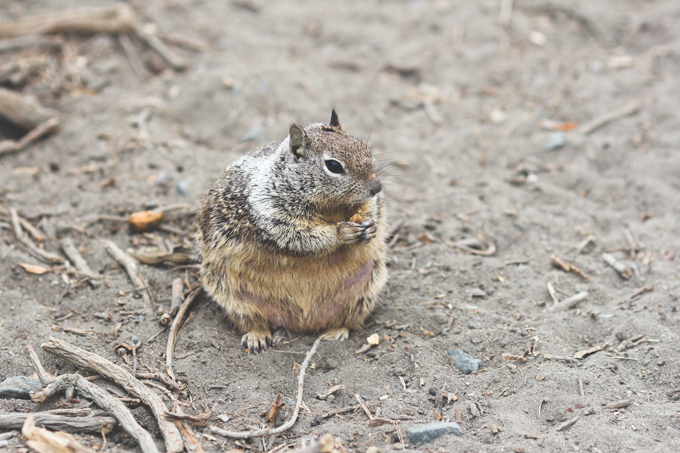 Haha, I LOVE fat squirrels. Gorgeous pics! 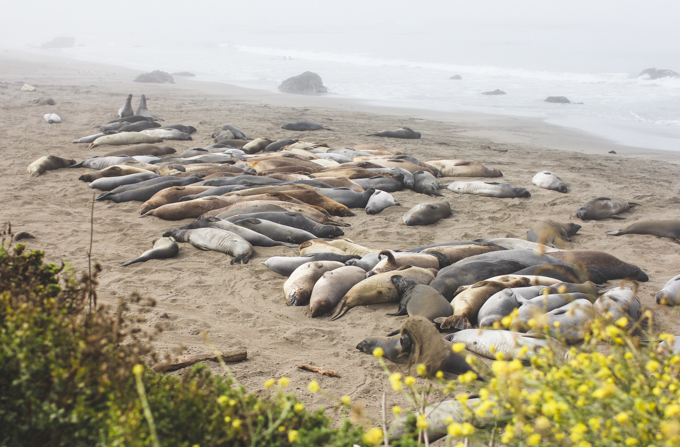 Love the wildlife, the seals are so cute lazing around! Awww it's so sad that the couple didn't think of a lap squirrel as anything exciting! Right!? How were they not excited?! Those squirrels are too much. We have a bunch that like to hang out on our balcony and taunt my indoor cats. I think they're using our flower bed as a nest. 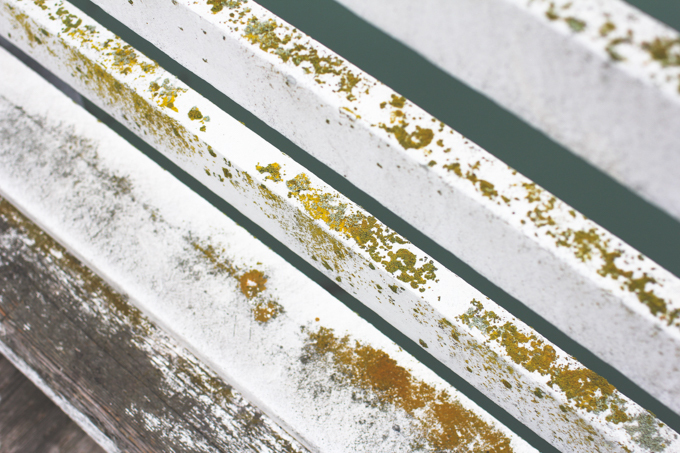 Just found your blog last night. Loving your photographs. If you're fond of squirrels you should read Kate DiCamillo's book 'Flora And Ulysses' (very cute). Thanks so much, Melissa! I'll check that out. Oh my goodness! The squirrels here!!! So when my boyfriend and I stopped at Peidras Blancas, it was a terribly windy day and so I was trying to get all bundled up and my cameras prepared as my boyfriend opened his car door in the parking lot. As soon as he opened the door, he started saying "shoo.. go away!" and I asked him what was going on. "The squirrel is trying to jump into the car!!!" "No it isn't… it will be fine", I replied as he kept shooing the squirrels away. Then I opened my door and what do you know, the squirrels came running over!! I then started taking pictures as well and those little guys were full on standing on their back legs & begging! There was one little guy who was missing an eye and we kept seeing him as we walked around and at one point he was running around with a napkin in his mouth!